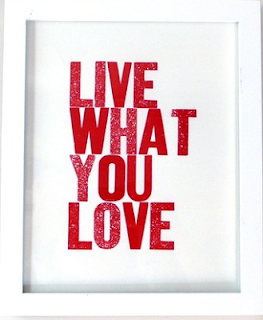 How often are you truly living what you love? Are you waiting until next year (or the year after) to make improvements and changes? It seems we are often encouraging students to live authentically and follow their passions, so I wonder why we as professionals often create boundaries for our own happiness. I am challenging myself to add more things I love into my life this week. I hope you will join.